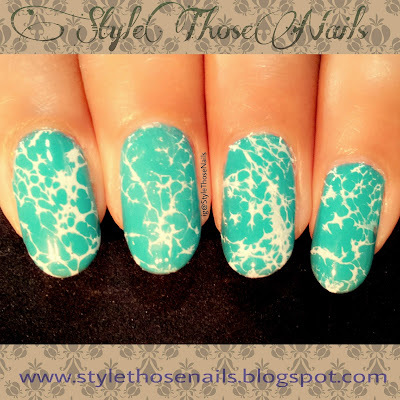 How to create water spotting nailart? Apply teal nail polish and let it dry completely. Drop few drops of white polish in a cup and let it spread. Now dip your finger on a appropriate spot and pick the design on your nail. Top coat and you are done. Hope you liked this mani. Have you tried water spotting too? Do you like this technique? I would love to read your feedback. Check out other lovely manis !